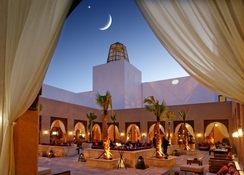 Nestled in Agadir, Morocco, Sofitel Agadir Royal Bay Resort Hotel is a family-friendly resort, where you can have ultimate fun with your loved ones. 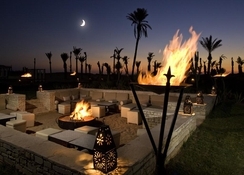 You will find it right opposite to a golden beach, where you can lounge and gaze at the waves from sunrise to sunset. 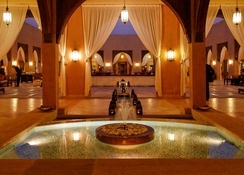 The resort hotel features a lovely swimming pool, a fitness centre, a tennis court, billiards room, a volley ball court, table tennis, quad bikes, petanque and much more. Foodies will not be disappointed either, as there are four restaurants, three bars and in-room food & beverage service. All these facilities make this resort a delightful place to stay. 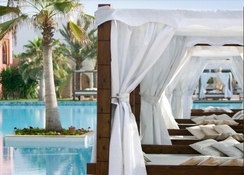 Set right in front of a golden sandy beach, the Sofitel Agadir Royal Bay Resort Hotel is a well-known synonym of luxury. 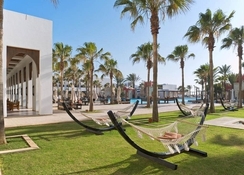 Beach lovers and water sport enthusiasts will have an exciting time as the Agadir Beach is only 2.1km from the resort. The famous Amazighe Heritage Museum is just 4km from here and the Agadir Almassira Airport is 21.5km away. At Sofitel Agadir Royal Bay Resort Hotel, there are 273 rooms that are categorised as Classic Room (one King Size Bed Garden View), Classic Room (two Single Size Beds, Garden View), Superior Room (one King Size Bed, garden view), Superior Room (two Single Size Beds, Garden View), Premium Superior Room (one King Size Bed, Pool View), Premium Superior Room (two Single Size Beds, Pool View), Luxury Room (one King Size Bed, Ocean View), Luxury Room (two Single Size Beds, Ocean View), Luxury Room with Balcony (one King Size Bed, Pool View), Luxury Room (two Single Size Beds, Balcony, Pool View), Prestige Suite (separate lounge, pool and Garden View), Prestige Suite (one king size bed with separate lounge, Pool and Garden View, Deluxe Villa, Premium Deluxe Villa. Each of these guestrooms, suites and villas feature convertible sofa bed for children under 12, welcome products, safe, free Wi-Fi, bathroom with bathtub, air conditioning, bottle of water after check-in, Sofitel MyBed bedding and much more. Almost every room offers you panoramic views of the sea or the resort’s garden. 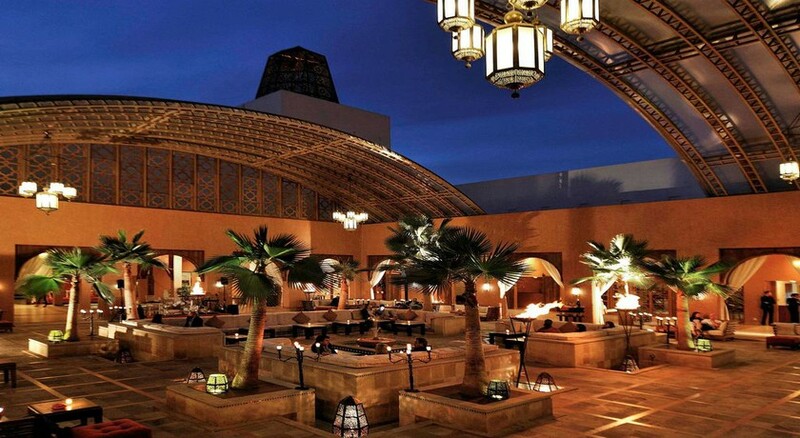 At Sofitel Agadir Royal Bay Resort Hotel, you get to dine and drink at seven authentic restaurants and bars – Pool Lounge Bar & Restaurant, So Good, La Caravane, La Nasse, La Nasse Bar, Le So Lounge and Le Riad. 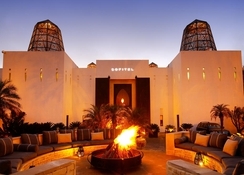 Sofitel Agadir Royal Bay Resort Hotel is a sports and relaxation marvel in Morocco. It is the best place for those who want to relax and rejuvenate themselves under the hands of expert masseurs. Take a relaxing swim in the resort’s swimming pool or head over to the fitness centre if you want to maintain your fitness level. There’s also a tennis court and other games facilities such as billiards/snooker, boules/petanque, quad bikes, table tennis and volley ball. Children can also have endless fun in the children’s club and the outdoor playground.